Home » Latest News » New Spanish Language Releases! 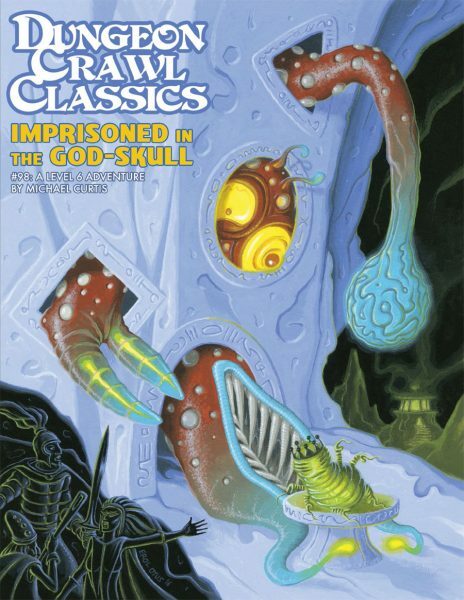 Our partners over at Other Selves have released a trio of new Dungeon Crawl Classics material that has been translated for our Spanish-speaking fans! 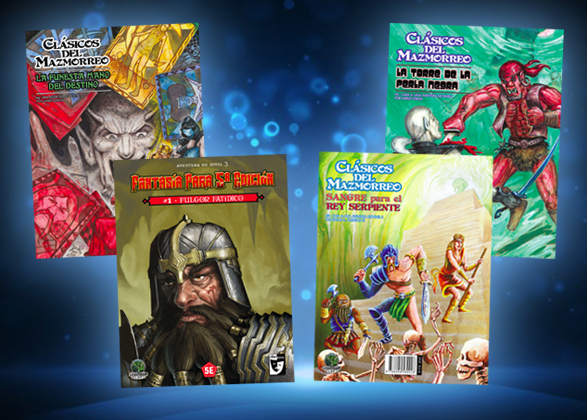 Other Selves has done an amazing job with their translations, which includes them releasing the Spanish version of the DCC Core Rulebook, which won them the coveted Rolea Award last year! 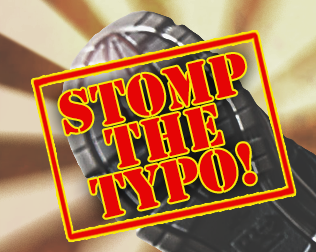 Without further ado, let’s look at their latest releases. 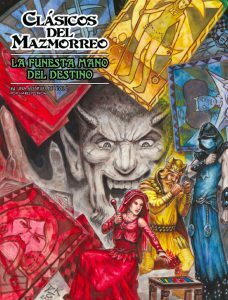 One of the fan-favorite modules gets a deluxe translation with the release of La Funesta Mano Del Destino (Fate’s Fell Hand). Three wizards are in a battle to determine the master of reality, and your characters are now stuck in the middle of the whole thing. 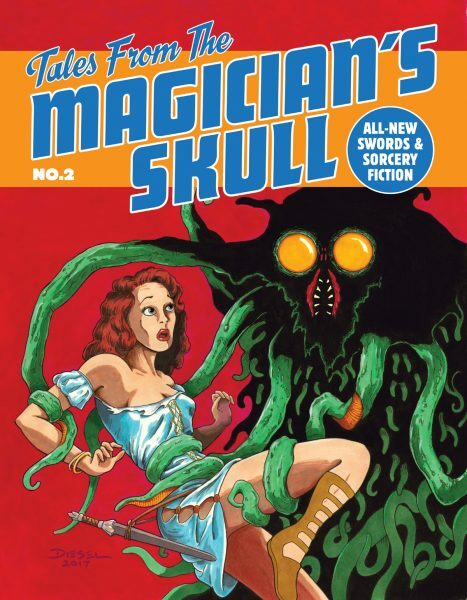 Not only do you get the full version of the adventure module by Harley Stroh, but this version includes full-color decks of the custom Tarot-like cards that are featured in the module.The deck of cards are 2.125 x 3.5 inches, and come in a shrink-wrapped with the module. And if you already have the module, and are jealous you don’t have these cool cards, you can purchase a custom deck of cards separately! 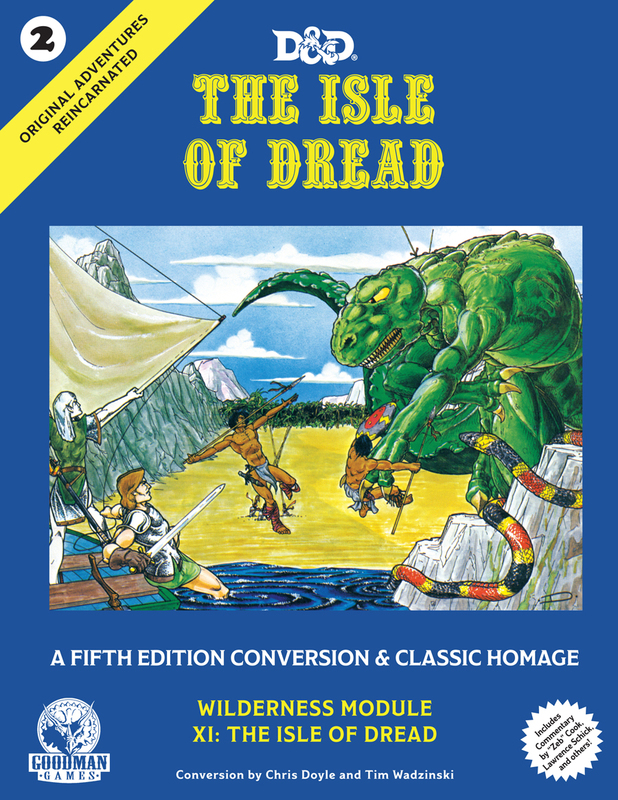 The DCC fun continues with a special flip-book version of two adventure modules! Both La Torre de la Perla Negra (Tower of the Black Pearl) and Sangre para el Rey Serpiente (Blood for the Serpent King) are translated to Spanish in the same book. The flip book allows you to show off either cover, each presented in a different orientation in the same volume. In the 1st-level adventure Tower of the Black Pearl, a rare change of tides has revealed a sunken tower, beckoning your adventurers to search for the fabled artifact contained inside. Blood for the Serpent King was our con-exclusive module for 2017, and this is the first time that it has been available as a separate module through our online store. 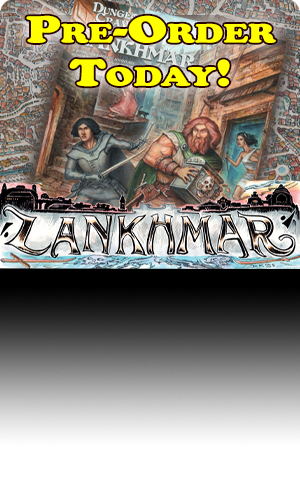 Finally, Other Selves has translated their first non-DCC book from Goodman Games. 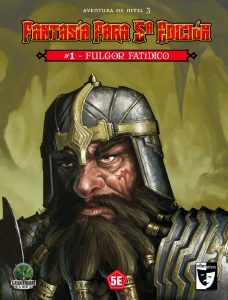 Fantasia para 5th Edicion: Fulgor Fatidico translates our Fifth Edition Fantasy module, Glitterdoom into Spanish. 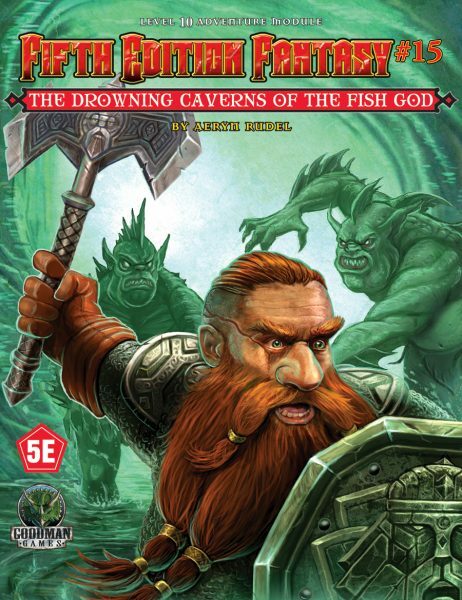 This is a 3rd-level module for the Dungeons and Dragons Fifth Edition game, originally written by Michael Curtis, takes your characters into the depths of a dwarven mine to combat a new subterranean menace. 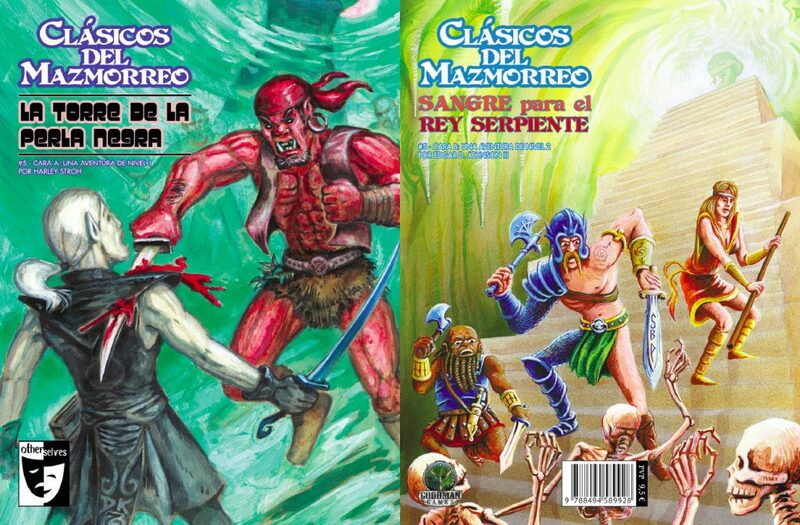 Three great new books for the Spanish-speaking fans of DCC! 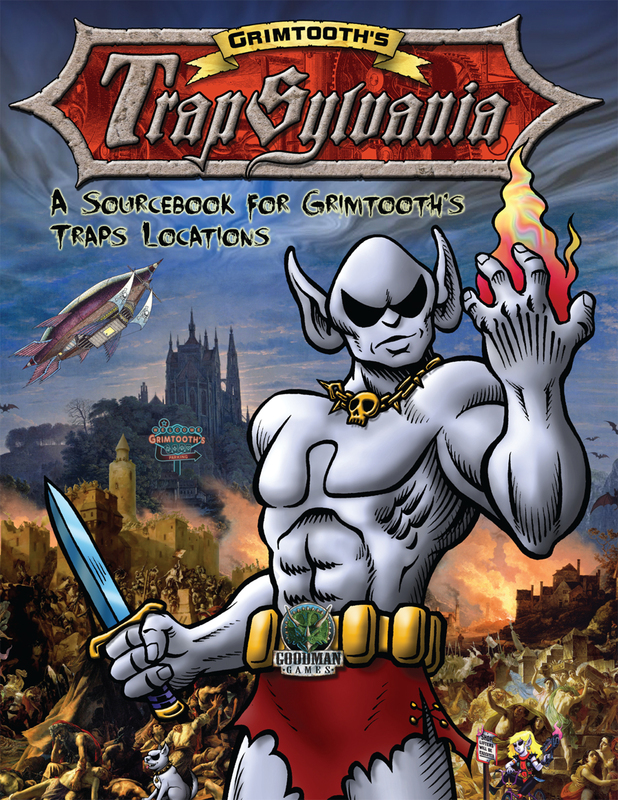 And be sure to check out the third-party books from Other Selves and the rest of our Spanish-language product!